Wooden boxes have a beauty you just can't find in any other type of box. 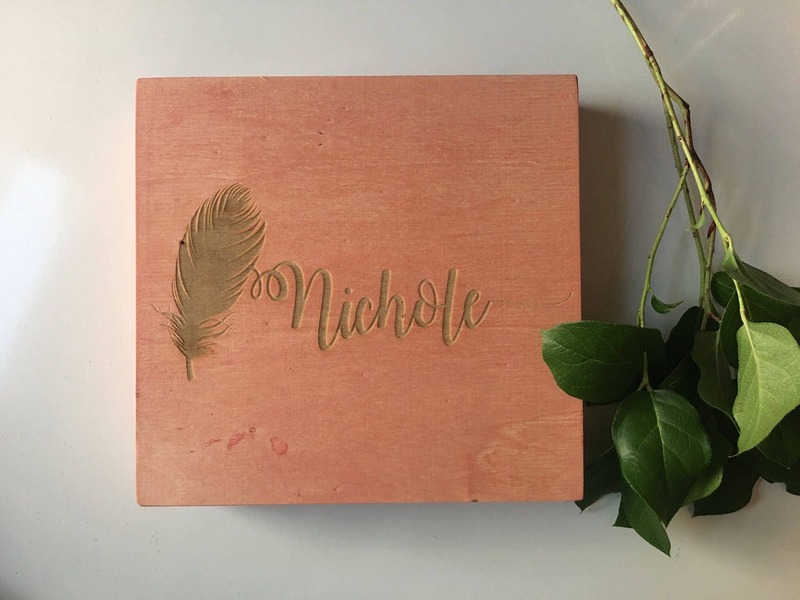 This hinged, wooden box comes engraved with an original feather design and makes a wonderful gift. 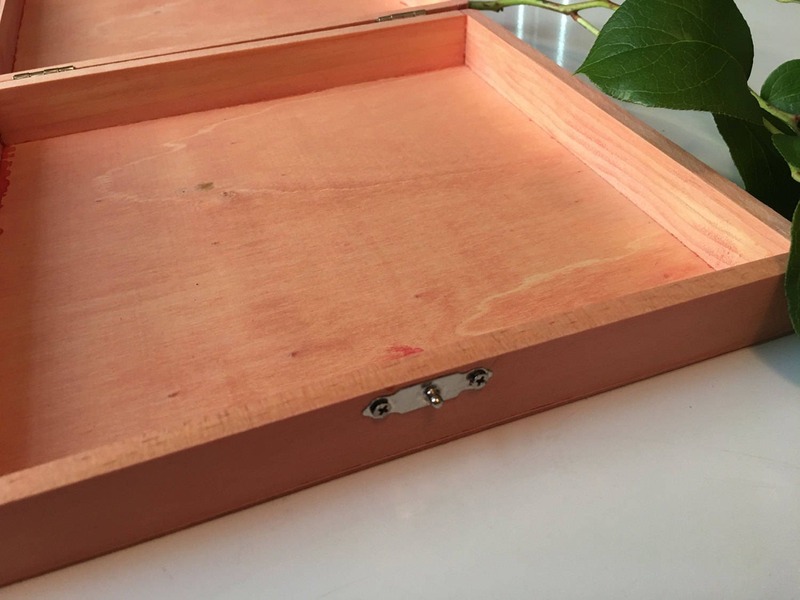 It is perfect all by itself and great for jewelry, small gifts, keepsakes and storage. 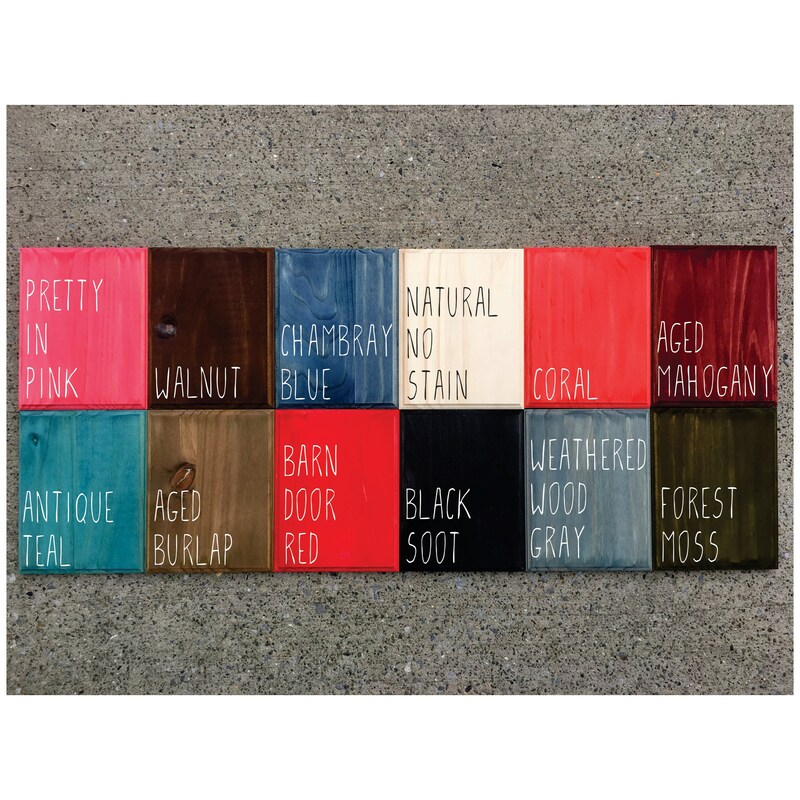 Choose from 11 different wood stains. ►You also have the option of an additional inscription on the inside lid in addition to the engraving on top of the lid. From the drop down menu you will see + INSIDE, choose that if you would like the additional option to engrave inside the lid as well. 5. In notes at checkout indicate the custom name you would like engraved. If you selected the additional +INSIDE inscription, indicate your engraving choice as well as your font choice. It can be a quote or short message. 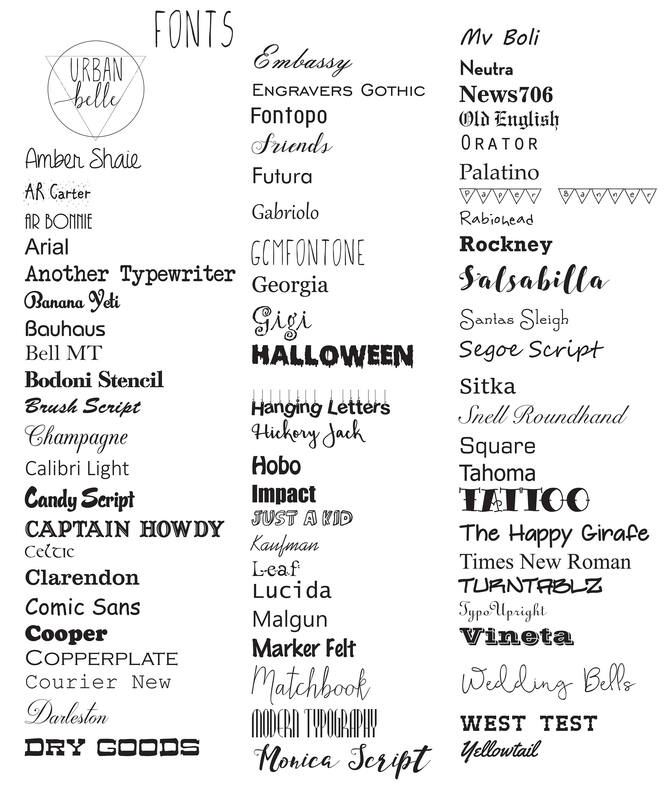 Font options are located in the photos section of the listing. Your box(es) will be laser engraved with the feather design pictured, replaced with your custom requested name(s). 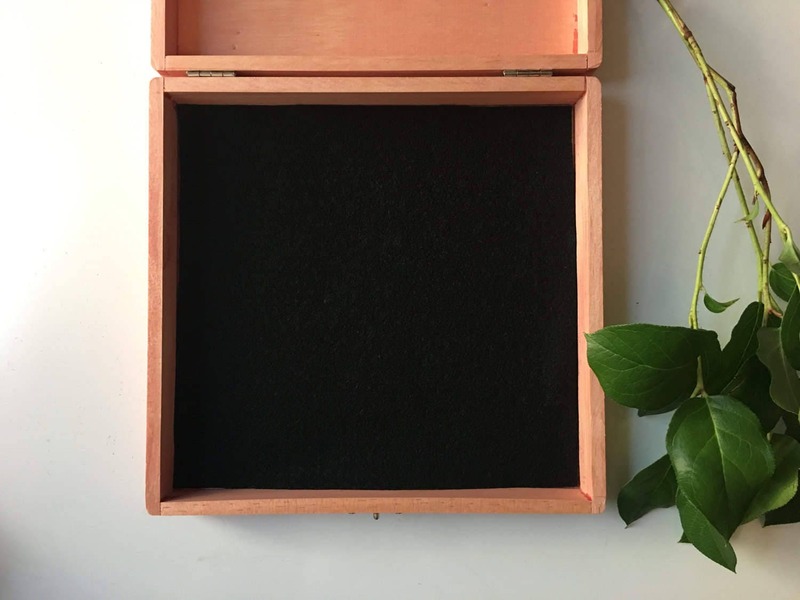 If you selected +INSIDE, your box(es) will be engraved with the feather design pictured, replaced with your custom requested name(s) as well as your additional inside lid engraving in your selected font choice. Engraving will be placed in a way that best fits the inside of the box.